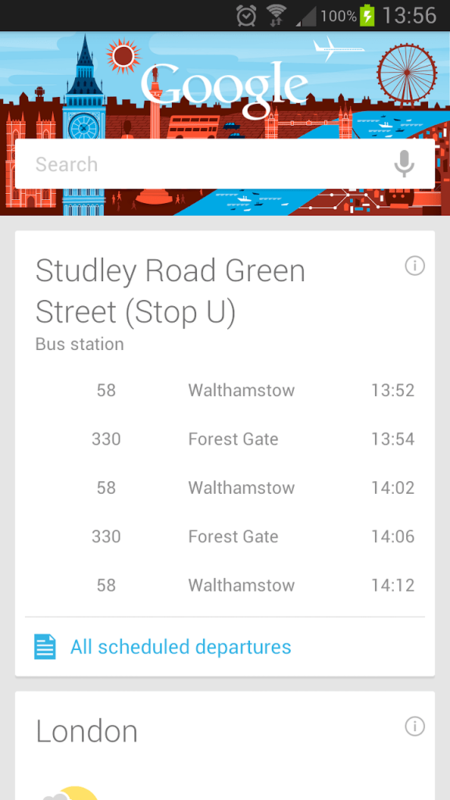 Google Now shows you bus times! So today I learnt that Google Now can show you bus times. I think this is cool as a student using public transport. Although, you have to be at or near the bus stop to view its times. It can pick that up from a calendar entry/email/search as well. It would’ve been nice if I could search for a bus stop to view its times but as it turns out, you can’t. So I guess this isn’t convincing enough to make me uninstall my bus checker app but it’s a start.